It is important to understand that humans are composed of outer physical bodies and inner spirit (Rouh). The outer shell (body) is composed of materials from this earth while the inner spirit (Rouh) is not from elements of this earth rather from the command of Allah (SWT). These two components are nourished from the same source from which their initial elements of composition came from. Therefore, the body needs to be sustained and nourished from elements which come from the earth while the spirit (Rouh) body needs to be sustained and nourished from elements which are specifically recommended by Allah (SWT) and Sayyidina Rasul-ullah (Sallaho Alaihe Wassallam). This is the greatest truth which escapes the hearts and minds of those who don’t believe in Allah (SWT) and unfortunately Muslims of today are also looking in the wrong place for spiritual nourishment and inner peace and contentment. [23:12] We have created man from an extract of clay. [17:85] And they ask you about the soul. Say, .The soul is something from the command of my Lord, and you are not given from the knowledge but a little. Lack of balance between the needs of your body and the needs of your soul may pose risk to your physical as well as your mental health. 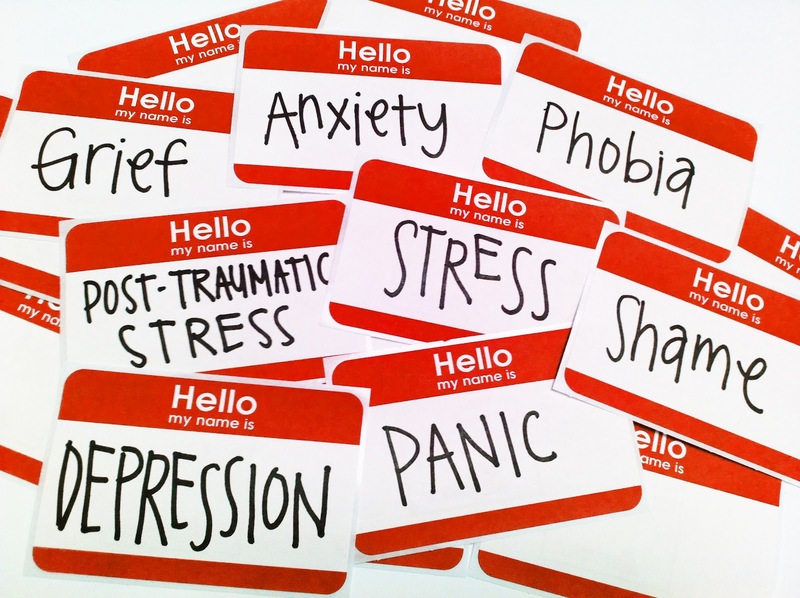 WHO (World Health Organization) defines mental health as “a state of well-being in which the individual realizes his or her own abilities, can cope with the normal stresses of life, can work productively and fruitfully, and is able to make a contribution to his or her community”. WHO stresses that mental health “is not just the absence of mental disorder”. If you think that you are unable to cope with the normal stresses of life, get help! Just like minor physical issues (if left untreated) have the potential to lead to bigger problems, minor mental issues (if left untreated) also have the potential to lead to bigger mental health problems. 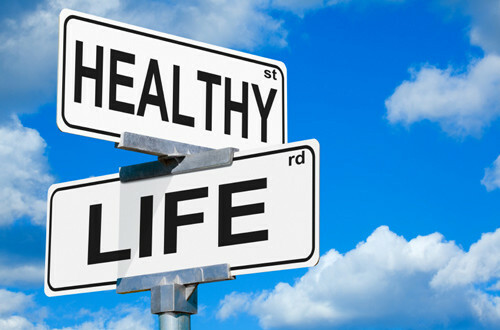 Here are some tips to maintain your body and soul to reduce the risk of both physical and mental health problems. Remind yourself continuously that it is Allah Ta’ala who has the keys to the heavens and earth. If he can unlock the doors of heaven for you, he can easily unlock the door and give you a way out of your problems. Pray as a forced habit until it become an act of worship. [65:2/3] And whoever fears Allah — He will make for him a way out. And will provide for him from where he does not expect. And whoever relies upon Allah — then He is sufficient for him. If due to your circumstances you happen to skip a prayer, make it up as soon as you are able to and remember that Allah Ta’ala is Merciful. Try your best with the best of your intentions and leave the rest of Allah Ta’ala. DON’T SKIP YOUR DAILY PRAYERS! Skipping prayers will devastate you spiritually and disrupt your body/soul harmony and balance. You may not be an ideal frame of mind to fully concentrate and enjoy your worship but this is one area where you need to force yourself and come to Salah. Your spirituality has a direct impact on your mental health. Nothing which afflicts you and nothing which reaches you is permanent. If you reflect and look back at your life you will recall many situations which you thought were hopeless but they ended. Your life is a cycle of blessings of Allah Ta’ala and tests from Allah Ta’ala. Allah Ta’ala reminds you “twice” that your hardship will be replaced with ease. [94:5/6] For indeed, with hardship [will be] ease. Indeed, with hardship [will be] ease. Sleep is as important to your health as your diet. Sleep is a blessing of Allah Ta’ala for your mind and your body to relax, recuperate and repair itself and do not squander this blessing. [25:47] And it is He who has made the night for you as clothing and sleep [a means for] rest and has made the day a resurrection. Islam is divinely guided and hence pays equal attention to physical as well as spiritual wellbeing and the concept of “balanced diet” in an Islamic framework means a combination of good wholesome physical as well as spiritual nourishment. For the physical body Muslims are commanded to eat “Halal” and “Tayyab (good, wholesome) food, unfortunately most of us go to great lengths in ensuring that our meat is Halal (Masha’Allah) but pay no attention to the source of the animal and its wellbeing where Allah Ta’ala has spoken about “Halal” and “Tayyab (good, wholesome) in the same verse. [5:88] Eat from what Allah has provided you as good and lawful, and fear Allah in whom you believe. Don’t consume junk food just because it happens to be Halal! Your physical health has a direct impact on spirituality and your mental health. The fitter you are, the better you will be at worshiping Allah Ta’ala and coping with everyday stresses of life. Did you know that a stronger Muslim is better than a weaker Muslim? You don’t need to buy a Gym membership, an easy way to health is through walking. Get yourself, your spouse and your children involved in walking. Strengthen your relationship while improving your health; it’s a win win solution. Allah Ta’ala is there to accept your prayers while the devil is there to deter you from turning to Allah Ta’ala. Devil is there to whisper into your heart and make you despondent and depressed. To turn to Alah Ta’ala and to ask for your needs is a commandment. Learn to cry to Allah Ta’ala for your needs, shed your tears and beseech the Mercy of Allah Ta’alah. Allah Ta’ala will respond to you when you turn to Him. A true Muslim is eternally positive and eternally hopeful. It is a quality of Faith to be hopeful. Hope will drag you from your (spiritual) doldrums and put you a surefooted path to achieving an equilibrium between your body and your soul. [12:87] …Indeed, no one despairs of relief from Allah except the disbelieving people.